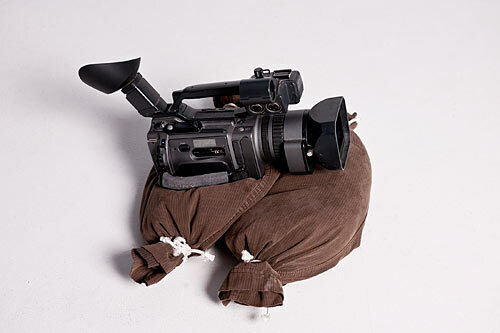 Typically when we do larger video shoots we hire a grip truck, and the grip truck is loaded with stands, and scrims, and lots of sandbags. Mmmmm, sandbags! The sandbags are pretty nice. Thick canvas with strong handles, and pretty darn heavy. 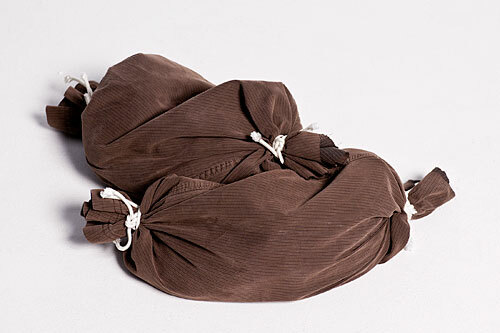 Of course if you make your own sandbags you can make them smaller and lighter, or bigger and heavier. Customize them as you wish! Once you have the plastic bag the size and weight you desire, find an old pair of pants. Cut the legs off. Make sure they are long enough to fit the plastic bag into. Slide the bag inside the pant leg, and tie up the ends with some cord. That’s it. You could actually sew the ends shut, but then you need a sewing machine, and you need to know how to sew, and then these aren’t really “simple” sandbags anymore. These also don’t have any handles, but again, we’ve kept it all pretty simple. 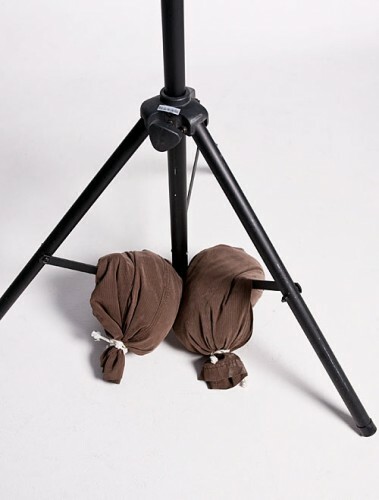 Your new sandbags are now ready to hold your stands down, weight down your dolly, or be used as a makeshift cinesaddle.